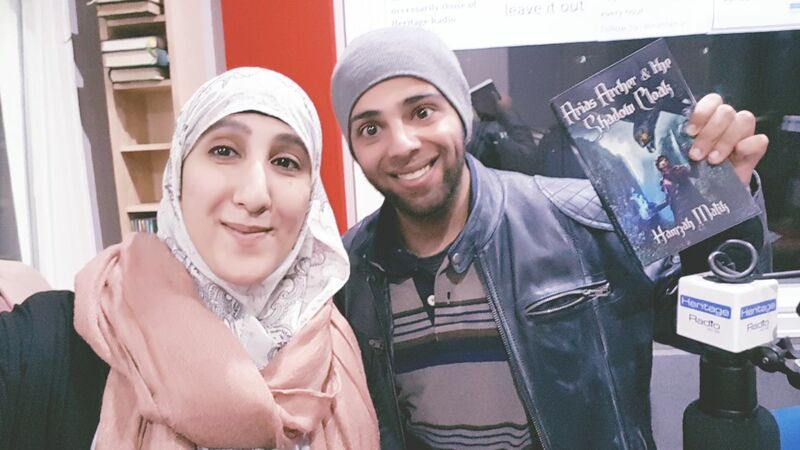 Debut author, Hamzah Malik, visited the Manchester Muslim Writers on Monday the 26th of February 2018. His new novel, Arias Archer and the Shadow Cloak hit the shelves in January this year and we were delighted to hear him speak about his new book. Hamzah’s muse, his sister Masooma, to whom he dedicated the first book in his existing new fantasy series (and who inspired the book! ), read one of the book’s key chapters. Hamza talked about how the book came about and how it took him six years to complete. He also talked about his daily discipline of writing for an hour in the evenings and his hope and ambitions for future books. He answered questions from from the audience. We hope to see the second book in the series in 2019! Hamzah runs a digital marketing agency, Regent Branding, and can emailed directly at Hamzah@RegentBranding.co.uk.